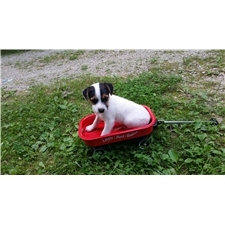 This Jack Russell Terrier nicknamed #2 Male sold and went to a new family. #2 Male Russell pup, born 12/17/17. Beautiful all white boy with 2 black head spots. Super cute! 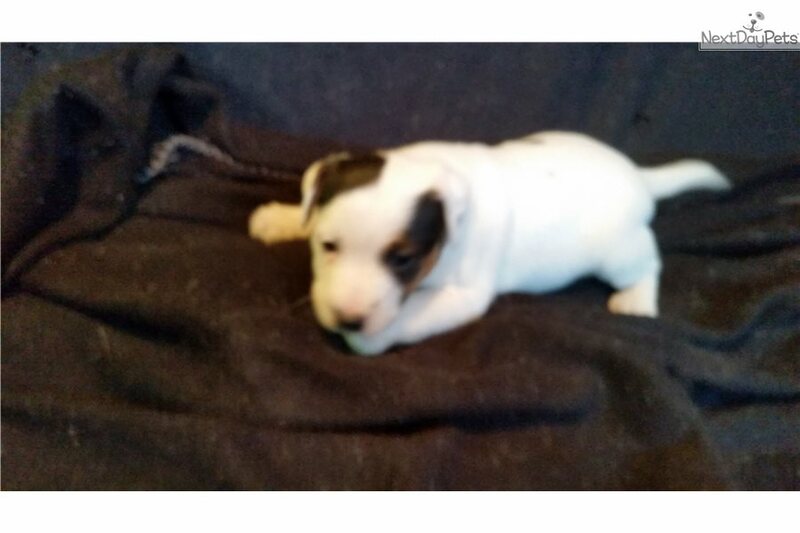 Registered, microchipped, hlth gte, utd shots/dewormings. Puppy packet included filled with training/care tips, food sample and even a coupon! Nails/tails entact. Can meet with buyers from surronding states. Shipping on direct flts from KCI. 2 siblings also acailable!